André is a Certified Money Coach (CMC)®, a Certified Business Archetypes Coach and Trainer/Facilitator for the Money Coaching Institute in Brazil. He’s the founder & managing partner at MoneyMind (moneymind.com.br), based in Brazil, that was created to inspire people to transform and cultivate a healthy and conscious relationship to money. With a strong background as a financial C-level executive in some of the biggest Universities and educacional organizations in Brazil, he has learned that money is not the root of all evil nor a passport to happiness which motived him to learn and apply the most comprehensive behavioral money coaching techniques and powerful assessments instruments such as Conflict Dynamics Profile® – CDP and Entrepreneurial Mindset Profile®. 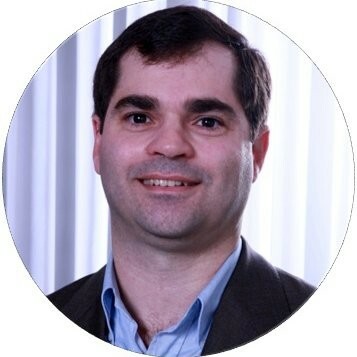 André graduated Catholic University of Brasilia with a Master degree in Business Economics and he’s also a trainer and teacher, helding adjunct faculty positions for the last 19 years. He’s also a Conflict Master Coach™(Conflict Dynamics Profile®), Entrepreneurial Mindset Profile® practitioner, and Certified Workplace Mediator and Trainer (CMT) by Eckerd College where he also have a sit on the Advisory Board for the Mediation Training Institute. Always focused on personal development and using his knowledge as finance executive, teacher, coach and entrepreneur, he works with individuals, entrepreneurs and groups. André is a Certified Money Coach (CMC)®, a Certified Business Archetypes Coach and Trainer/Facilitator for the Money Coaching Institute in Brazil.